Imagine taking in the crisp mountain air and natural beauty of the great American West on horseback in the privacy and comfort of your own backyard. At Promontory Club in Park City, UT, this dream is an everyday reality for its Equestrian Members. Situated across 6,400 expansive acres of rolling hills, endless valleys, and awe-inspiring canyons, Promontory Club is a family-friendly, luxury second home mountain living community in scenic Park City. A quick 90-minute flight from Phoenix or other major West Coast cities, like San Diego and L.A., and a short, 45-minute drive from the Salt Lake City International Airport will land you in the lap of luxury and leisure at Promontory Club. 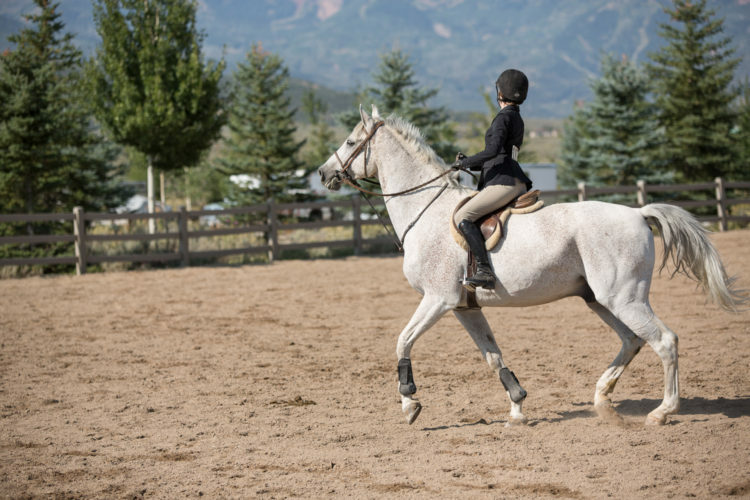 Whether the saddle is second nature, or if you’re a first-time rider looking to take horseback riding lessons, Promontory’s world-class Equestrian Center offers the perfect opportunity for riding and training while offering the best of blue ribbon care to its horses. 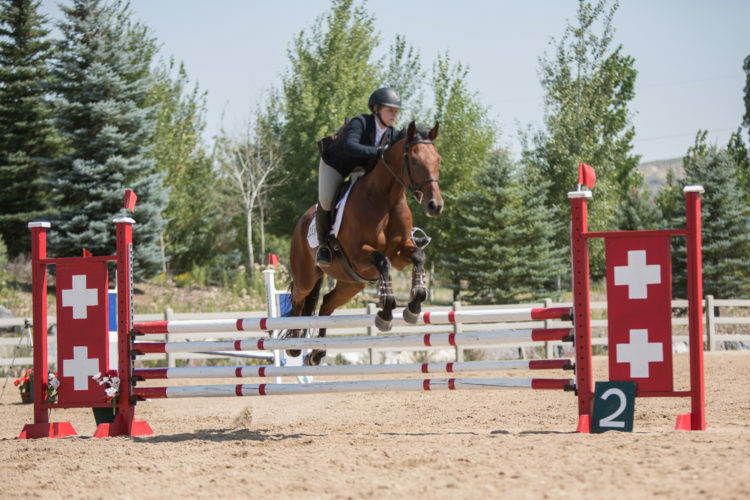 Promontory’s Equestrian Members can enjoy the fully equipped private boarding and training facilities, which include indoor and outdoor arenas, deluxe horse stables, a private club lounge, and more. 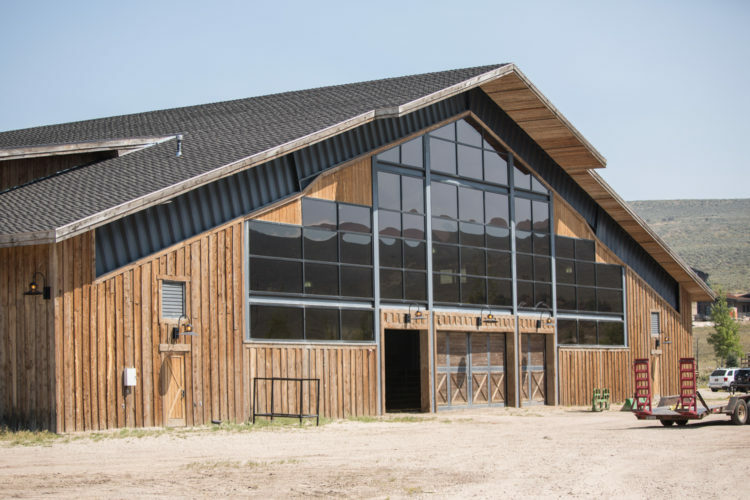 Take a ride or spend some quality time with your horse in the first-rate arena that looks out onto the breathtaking mountain landscape outside. Take comfort knowing that every horse is looked after under the best care by Promontory’s expert equestrian staff. When not out exercising in the fresh air, the horses can relax in the utmost comfort within the private stables that include heated stalls with separate washing and grooming areas. The equestrian private club lounge is an exclusive perk for members to rest, recharge and socialize. Throughout the year, the Center hosts such family-fun equine outings as the summertime chuck wagon dinners, festive winter sleigh rides, and the annual equestrian holiday party. At Promontory, there’s something for everyone. Apart from its master-planned community of luxury homes, Promontory offers 12 world-class clubhouse venues exclusive to its members, including extraordinary golf, ski, spa, fitness, kids cabin, equestrian, and social facilities. New Hotel Coming to the Valley!